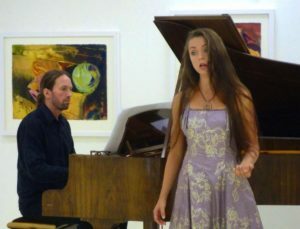 In the summer of 2013, Aylén Bárbara Gerull and Halvor Martins played their first concert in Arendal, Norway. Since then, the singer returned regulary to Norway for recitals. In November 2013, they also performed compositions by Halvor Martins in Norwegian language. In the repertoire is a program with Italian arias and piano pieces and a recital with various works by Franz Schubert. And they worked on the song cycle “Haugtussa” by Edward Grieg.